Welcome to the Pearle Vision complaints department brought to you by HissingKitty. Experienced poor customer service? We make it easy to file a formal complaint against Pearle Vision online. Simply use our free form and your feedback will be instantly forwarded for review. Need to contact the Pearle Vision corporate office? We have the mailing address, phone number, and email address listed below. I ordered my glasses Feb. 23 of this year. I still do not have them and I have called Pearle Vision on Hwy 99, Richmond Texas, 77406 three times with NO return calls. I'm ready to cancel the order and would like my money refunded. Yes, I am very upset with the way I feel I have been use by the Pearle Vision located at Miller ave. and Oakland blvd. Fort worth,Tx. I have been a repeat customer for the last probably 10 years at this location and this year they have been extremely bad and I believe they are taking advantage of me and my generosity. I had $902 at the end of the year in my flexible spending account that I allowed them to credit and I came in to order new glasses . I have research on line and found several glasses that I thought they carry ;The brand were Cazal.wish they carry some brand of,However , the select a pair of glasses which I chose were Cazal and they had to order and a strange part of this situation is online the glasses cost $450 and Pearle Vision charge me $900 for the same pair of glasses that I have found online. After researching and contactling other glass company including Pearle Vision companies, the web the Fort Worth area I have found out that I was being charged more than double the price of the online price. Which by the way and I contacted Pearle vision they said they did not get discounts that the other did. Pearle vision said" that I never should be charged twice the price for the same pair of glasses no matter wheather I got the discounts are not. which leads me to the problem that I have encountered with Pearle vision this year. So I am formally buying glasses my insurance I am spinning over $1200 for a $ 450 pair of glasses. This is the problem and I am in countering at this point. I'm due to pick up my glasses now which I am still disappointed by the way I have been treated. well I have been a customer for over 10 years. This isn't the way that you do faithful customers that you have for over a decade and I would like immediate action and Help a resolving this issue; I don't believe they are being honest with me and I exploiting me. I don't understand why but I have a good feeling it's just due to the fact that I come every year at the end of the year and good money with them. My contact info. Is 817-896-0312,mailing is P.O. Box 15973,Fort Worth,Tx. 76119 I have all bills and transaction how they charge me 400.00 for high definition alone. I am patiently awaiting to hear from you. I received an e-mail on February 27th 2019 to confirm my eye exam at the Tukwila Eyecare Center located in Tukwila, Washington for March 19 2019 at 11:00 am. The e-mail states this eye exam is confirmed. A few days later I received a postcard that reads to hold your appointment it’s important that you call to confirm your appointment for March 19th at 11:00. I called a few days later and was told I did not have an appointment for that day. After visiting the office today I was told that the e-mail did not confirm my appointment.I find this very upsetting since I made the appointment a year ago. This is horrible customer service using an e-mail approach that does not work. Why confirm if you are really not confirming an appointment to anyone? I hope you do something to better your service. Jackson, Michigan pearle vison's manager is very rude. Her name is Kelly. My husband had to get safety glasses for work. There were only 2 choices. So he picked the better of the 2. He received 1 pair of side shields with his glasses. When they finally came in and we picked them up, we ordered 3 more pair of side shields. So long story short, after 2 weeks, I called to see if they were in. Was informed they do not make that specific frame anymore so the side shields are not available for ordering. But wait, Kelly says she is going to re-order them or look at other stores. So now 4 weeks later she says we can order you new glasses so you can have side shields. I said there were only 2 pair offered. Kelly says there are more online to order from. So our question is..... Why were we not offered to look at the glasses online for more choices? So now that she has decided to order a different pair so he can have extra side shields, she said SHE ordered him a new frame and lenses. Why would she pick out a pair of frames for him? Why can't my husband pick out his own? So I asked her and she said she was just trying to get him a pair quick and they are "similar" to the ones he has. Nope not happening. Told her he will pick his own out. Even with our insurance, he had to pay over $600.00! That is ridiculous. Kelly has been very rude to us since she has come to this store. I do not appreciate her attitude and to not offer other choices to look at when we were looking the first time when they know there are more choices? Next time we need a pair of glasses, we will be looking for a different company. We have been going to Pearle Vision ever since they came to our town. Sorry to say as long as Kelly is there, we will not go back there. I have a coupon of $25.00 that I received from mail that you send to me. Recently I bought a prescription glass through Pearl vision store here at 147 Palmer Park Mall easton, PA 18045. I called them up and tried to tell them that I forgot that I have the coupon, now they don’t want to honor the coupon. It is a valid coupon from pearl vision expiration date 3/2/2019. Please help me to redeem this coupon. I paid $65.00 dollars from my prescription glass. I scheduled an appointment for my daughter and I. When I got to the store; the actual store was not aware of my appointment. There basically accused me of lying. Then, determined the store is closed that day and the messaging service did not to their point. This was only after many rude statements which was embarrassing. Then, we had to wait. The store closes at 4 pm and felt rushed to pick up glasses. To the point I declined picking a pair. My daughter rushed and picked something out. Not really what she wanted. This was on Saturday at closing. I called Monday morning and was rudely told I can not cancel the glasses. I am not happen with the customer service and thought I can not cancel the glasses. This stipulation was never mentioned. Also, let's not forget about the lack of professionalism as the male employee was eating at the desk or several times the employee left from helping us to go help others walking in to pick up items. I purchased a $600 pair of glasses. I have very poor vision. Especially in one eye. I believe my left lens was poorly made. After only about 3 months, the inner coding started to peel off. In the left lens. Reps. Tell me there is nothing they can do about it. 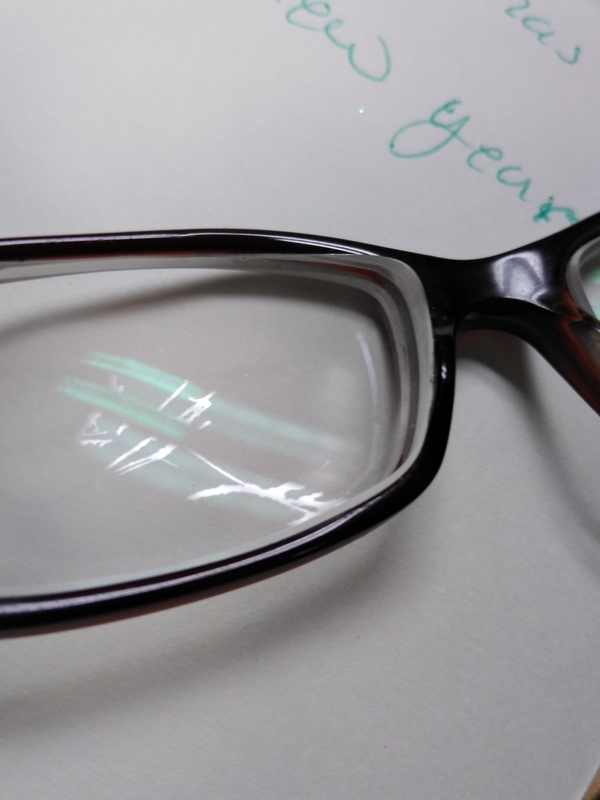 I have worn glasses all my life, and I'm 62 now.I have never seen this happen. I have been a customer almost 10 years. Very loyal. And this is the best that can be done for me. Very disappointed $,600 dollars is a lot of money to me. This is the second complaint this year for the same Jackson Pearl Vision. I took my Oakley Glasses back again, to be fixed and it took another 4 weeks to be fixed. They lost them and than called my husband, not me because as the Manager Kelly said "She wrote number on a scratch paper and must have thrown it away", and that is why she called my husband". My husband was upset that I took glasses back to this place after the experience I had had them the first time. I agree with him completely but I also know that Pearl Vision has my phone number because Karen that works there always calls me and NOT my husband. I did this because of the warrant. Kelly could not understand why I was upset and seem to take this personal. She got very loud on the phone and I had to tell her to calm down and to not take it personal when she said " I am sorry you do not like me". I said " This is not about you This is about Pearl Vision and how they run a business", and the fact that it took four week to get my glasses fixed". "Please calm down and I will talk to Karen Thank you". I was told my glasses would be ready in one week to 10 days. I was put on hold for 10 minutes. The salesperson said they would call me back shortly. 4 hours and I was informed my glasses were ready for pickup. I was in sales for many years and if treated my customers like this I would of not have had a job for very long. This will be my last purchase at Pearl Vision. I went to Pearle Vision a few years ago and discovered that although the commercials made the products seem very nice, the glasses actually seemed pretty cheap. I got a free pair with an exam, and they talked me into a pair that was also like sunglasses. It had some kind of tint on it. The complaint I have is that the glasses did not fit my face properly, and the glass soon cracked afterwards. I took them back to the story and the woman there said that was common and they could fix them, but it would take 5-7 days. So guess what? No glasses for me for a week. Every year I get my eye tested at Pearle Vision. I like the way they care for me as their client. They are dedicated eye care professionals, trained on how to examine and diagnose any vision related issues, have the right expertise. I always take their opinion and I never faced any issues. Pearle Vision also has some great and fashionable eye glasses that suits every person and I am happy about the overall experience I take from there. 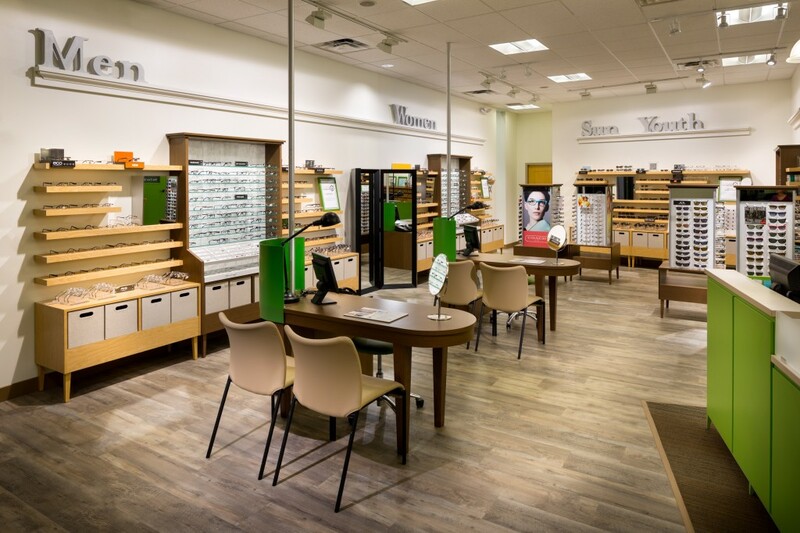 Have feedback for Pearle Vision?